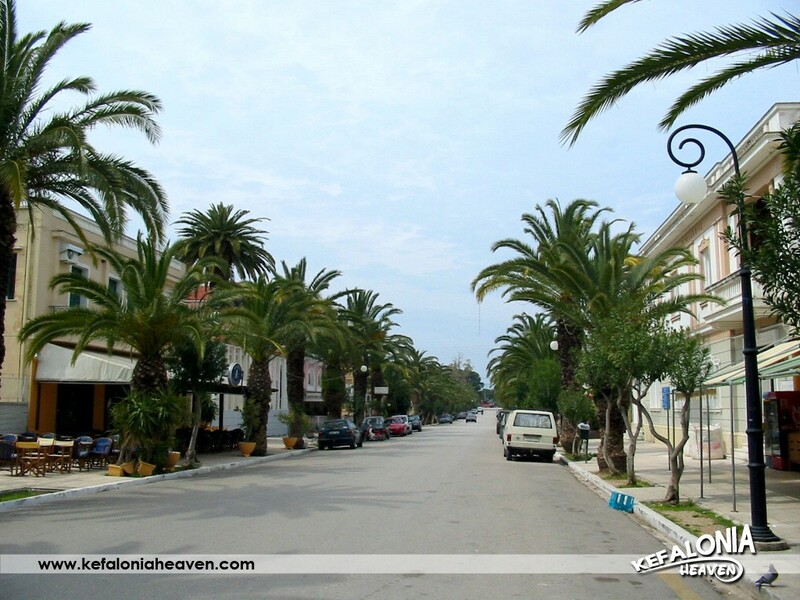 This wide, palm-lined avenue begins at the town’s main square and ends at the monument to the Rizospastes, a group of men who sought the island’s unification with Greece and organized a revolt against British rule. The palm trees and width of the road and pavements make it unique pleasure for pedestrians to stroll along, particularly during the summer months when about a third of the road is closed to traffic in the evenings. The palm trees are about 60-70 years old and were planted in place of previously existing trees by the Italian occupation forces, as part of their public works on the island. Notable buildings along this avenue include the famed Philharmonic School of Argostoli (rebuilt with a donation by the Vergoti family and renovated with a donation by the Niarchos Foundation) and Kosmetatos House, which is one of the last remaining examples pre-earthquake architecture in Argostoli.